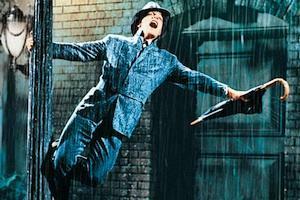 Gene Kelly stars in the classic movie musical 'Singin' in the Rain'. The Grand Rapids Symphony Orchestra will accompany screenings of the film this weekend. Tonight through Sunday, Gene Kelly, Debbie Reynolds and Donald O’Connor come to life on the big screen in the Hollywood classic "Singin' In The Rain". The Grand Rapids Symphony Orchestra will perform live accompaniment to the HD screening at Grand Rapids’ De Vos Theatre. Music Director David Lockington will put it all together. Current State's Peter Whorf spoke with Lockington about the symphony's history of playing to classic films. 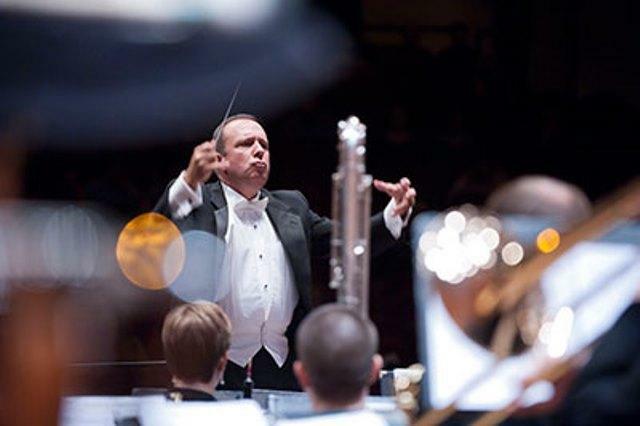 The Michigan State University Wind Symphony Orchestra performs Thursday night at the Wharton Center. Current State's Peter Whorf speaks with MSU director of bands Kevin Sedatole about the concert. 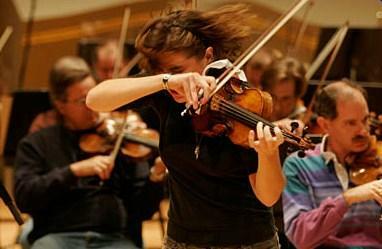 This Sunday night at the Wharton Center, violinist Nadja Salerno-Sonnenberg joins the Moscow State Symphony Orchestra in a program featuring works by Peter Tchaikovsky and Max Bruch. The multi-talented Salerno-Sonnenberg has performed with just about every major symphony orchestra on the planet.